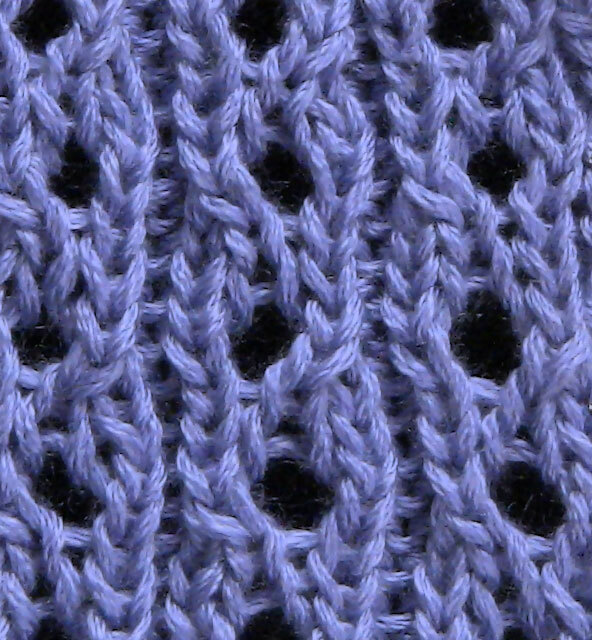 Learn a new knit stitch each week! 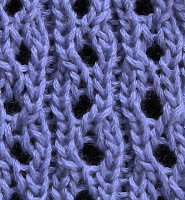 It has been a while since I posted a rib stitch, and this one is easy and so pretty. SSK = Slip, Slip, Knit - Instructions for this decrease usually tell you to slip both stitches knitwise. I like to slip the first one knitwise, slip the second one purlwise and then knit them together. You can do whichever one you feel most comfortable with. You will get the same result, but for me slipping the second stitch purlwise makes it a little neater. Repeat these 8 Rows for the pattern. Here is the video. Happy Knitting, and Enjoy! I appreciate all your informative blogging so much. I've been searching unsuccessfully for instructions on a stitch from a store hat that my DD loves. This stitch is the closest I've seen to it. Can I send you a pic and ask for your help? I'm not sure how else to contact you. Thank you again. I've learned so much from you and your blog is now my go to site for all my knitting stitches. You can email the picture to sapphiresnpurlsknitting@gmail.com if you like. I will see if I can identify the stitch. The SSK decreases the number of stiches on your needle. So after the first 8 rows there's not enough stitches on the needle to repeat the pattern. How do I fix this problem? The yarn overs compensate for the ssk decrease. If you don't have enough stitches, it's likely you missed a yarn over. Sapphires-N-Purls is a participant in the Amazon Services LLC Associates Program, an affiliate advertising program designed to provide a means for sites to earn advertising fees by advertising and linking to amazon.com.